I can't stay away from white jeans or pants for too long and the list with reasons why is too long to debate it here. All I can say is that no matter what color you decide to wear with the white jeans, it pops out and is not overwhelming... I don't have anything against strong contrasts ( you know that already) but sometimes a light look (hmm... I just called this a light look ? :)) with a bit of color and some prints is great as well. Follow the 2 easy steps and you are in. - Leave a comment here with your Instagram name and email address. This giveaway is WORLDWIDE and the last day to enter is May 20th! Beautiful look! I love the pop of pink! Such a fabulous combination of animal prints and colour! Great look. 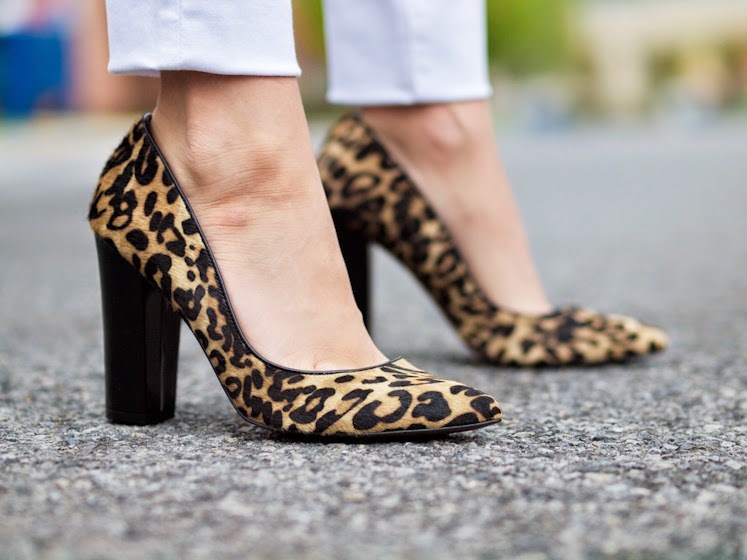 Big fan of the animal print. Love the bold contrast of the pink bag. I love the double dose of prints. And the jacket! Great look. White has been growing on me lately, but still not my favourite colour of pants. I see leopard and cheetah prints are in trend again. This combo looks great on you. I love the bag, though! Cute look! 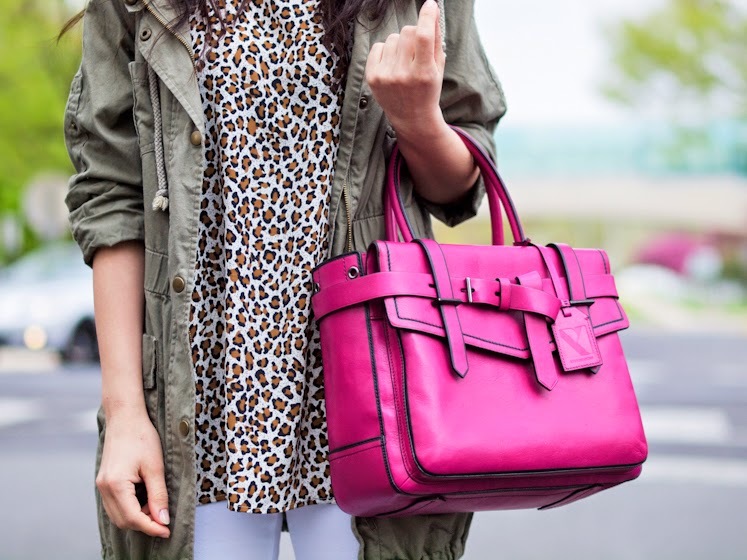 Loving the leopard with the cargo jacket!